Daily programming for the entire week! 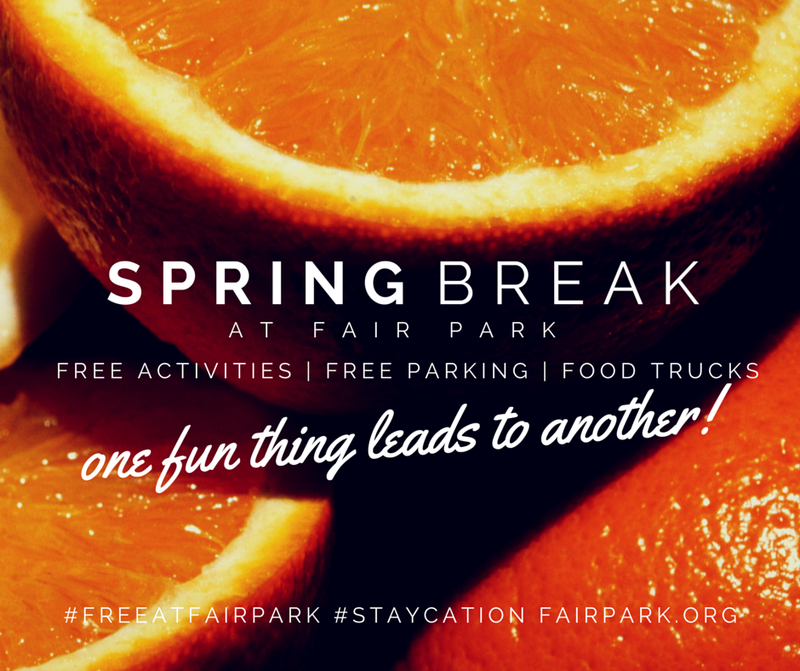 Families staying in town for spring break can participate in a variety of free activities at Fair Park beginning Monday, March 9 and through Friday, March 13. Free events, Free Parking. Enter Gate 3 behind Women’s Museum. 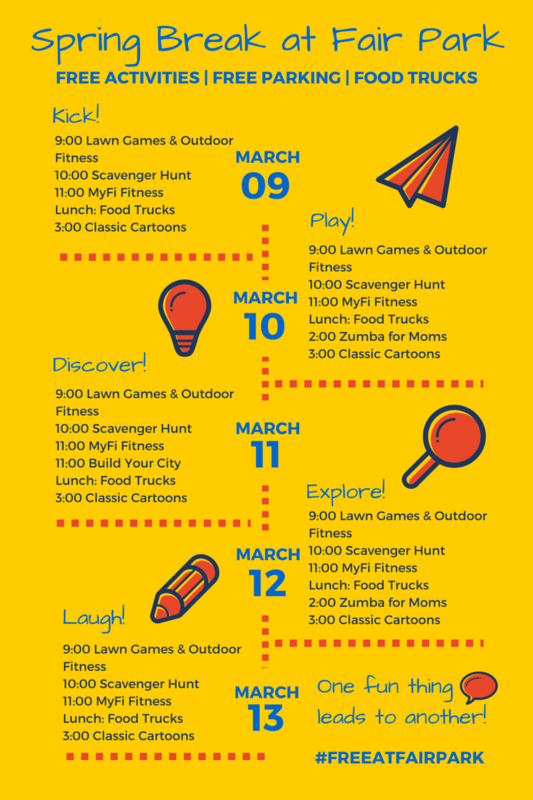 Visit the Dallas Historical Society’s table between 10:00 a.m.-12:00 p.m. and participate in a scavenger hunt and coloring. There will also be a raffle giveaway. Afterwards, come inside the Hall of State and check out our free exhibitions: An Argument for Dallas: 100 Years of the Federal Reserve Bank of Dallas 1914-2014 and Texas in the Time of Revolution. Arts & Crafts – Create your own kite . . . and fly it! Come join us at Fair Park for a hands-on activity for all ages as we build a city from the ground up. You’ll be given your own plot of “land” to build on. What kind of building will you design and create? What materials will you use? How does it fit into your neighborhood? Come explore all these ideas and more. Classic cartoons will be shown in the Women’s Building each afternoon from 3 to 4 p.m. Some graphics to use . . .